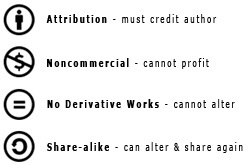 A Creative Commons license allows creators to place conditions on their copyrights. This gives flexibility by allowing the creator (copyright holder) the ability to to grant some of their rights to the public while retaining other rights. "Discussing OER and Open Policy with Creative Commons, featuring Cable Green"
For "one-stop shopping" for images, audio, video, and text, try the Creative Commons CC Search. Works without copyright protection are included in the public domain and are available for everyone to use freely. Facts and other non-protected work are in the public domain (i.e., the phone book). It is a United States government work (i.e., statutes, reports, court rulings and studies). They are published before certain dates. Open educational resources (OER) are free and openly licensed educational materials that can be used for teaching, learning, research, and other purposes. See also: Open Educational Resources (OER). Wikimedia Commons is a media file repository making available public domain and freely-licensed educational media content (images, sound and video clips) to everyone. The Wikimedia Commons database itself and the works in it are licensed under the Creative Commons Attribution/Share Alike License. Many flickr users have chosen to offer their work under a Creative Commons license, and you can browse or search through content under each type of license (attribution, noncommercial, no derivative works, and share alike licenses). PhotoEverywhere currently has more than 3000 images online ready for instant, free download. Many of the images here are exclusive to this site. All images have been made available free of charge under a creative commons license. FreePhotoBank is a stock photo site providing free high quality pictures. Those pictures may be used both for personal or commercial use. All pictures of FreePhotoBank have a Creative Commons Attribution alone license. Most photos and slides in the NOAA Photo Library are in the public domain and cannot be copyrighted, and there is no fee. Educational use is encouraged. NASA Image Gallery, a non-profit digital library, brings public access to NASA's image, video, and audio collections in a single, searchable resource. In general, content is not under copyright and can be used without express permission, as long as the use does not somehow imply that NASA endorses a product or cause. Free Images provides access to hundreds of thousands (around 400,000 photos online) of high-quality, hand-picked stock photos and graphics; all free! USDA's Online Photo Center provides more than 20,000 high-quality digital images, and it continues to expand. All of the photographic images are USDA property and, consequently, are in the public domain. The National Digital Library has a wide assortment of selected images, publications, video and audio clips that are in the public domain. They are free to use; no permission is necessary. They do ask that you give credit to the photographer or creator and the U.S. Fish and Wildlife Service. High-quality public-domain clipart covering all ages of the Worlds History from pre-historic to now. You may use these images for any purpose. The Digital Gallery provides free and open access to over 700,000 images digitized from the The New York Public Library's vast collections, including illuminated manuscripts, historical maps, vintage posters, rare prints, photographs and more. Public domain images, royalty free stock photos, copyright-friendly free images. Not copyrighted, no rights reserved. All pictures on this site are explicitly placed in the public domain, free for any personal or commercial use. The Digital Image Archives provide links to public domain digital images from many of the National Park Service sites, including national parks, monuments, battlefields, and historic sites. All images are free, and may be used without a copyright release, but must not be used to imply NPS endorsement without permission. Public Domain Pictures is a repository for free public domain photos. You can download high quality photos, upload your own pictures, earn money for charity, get exposure and gain popularity, and improve your photographic and graphic skills. 4FreePhotos is a group of photographers who enjoys taking pictures and decided to share them with the public to use them for free in their private or commercial projects. The hope is that you will find the collection of free and public domain images useful. Material credited to STScI on this site was created, authored, and/or prepared for NASA under Contract NAS5-26555. Unless otherwise specifically stated, no claim to copyright is being asserted by STScI and it may be freely used as in the public domain in accordance with NASA's contract. Library of Congress collections include photographs, fine and popular prints and drawings, posters, and architectural and engineering drawings. While international in scope, the collections are rich in materials produced in, or documenting the history of, the United States and the lives, interests and achievements of the American people. 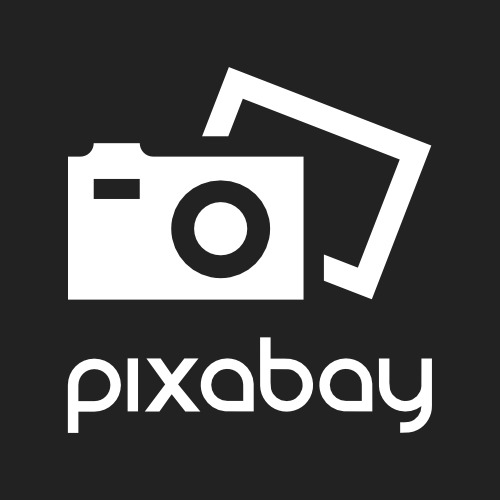 Pixabay is an international website for sharing photos in the public domain, and includes over 750,000 free images. Unsplash has high quality free images and photos you can download and use for any project, commercial or noncommercial. All Unsplash photos are open and no attribution is required. Over 300,000 tracks of all genres to stream and download for free. Unlimited and legal sharing. Musopen is a non-profit focused on improving access and exposure to music by creating free resources and educational materials. We provide recordings, sheet music, and textbooks to the public for free, without copyright restrictions. Put simply, our mission is to set music free. YouTube allows you to discover, watch and share originally-created videos. YouTube provides a forum for people to connect, inform, and inspire others across the globe. Open Culture brings together high-quality cultural & educational media for the worldwide lifelong learning community. Their mission is to centralize this content, curate it, and provide access to this high quality content whenever and wherever you want it. Free audio books, free online courses, free movies, free language lessons, free ebooks. The movies and documentaries listed on this page have been verified to be in public domain or otherwise free for you to watch and download. TED is a nonprofit devoted to spreading ideas, usually in the form of short, powerful talks (18 minutes or less). Viewers are able to freely view and download the videos. Full-text digital library offering books and corpora as lexical hypertexts on Creative Commons License. IntraText is committed to accuracy, accessibility and touch-oriented cognitive ergonomics. The Online Books Page at University of Pennsylvania is a catalog of freely readable online books, listing over 1 million books on the Web. LibriVox records only texts that are in the public domain and all recordings are public domain. This means anyone can use all the recordings however they wish (even to sell them). In addition, book summaries, CD cover art, and any other material that goes into the catalog with the audio recordings are in the public domain. Open Library's goal is to have "one web page for every book ever published." It is a completely open wiki interface allowing for contributions by anyone.